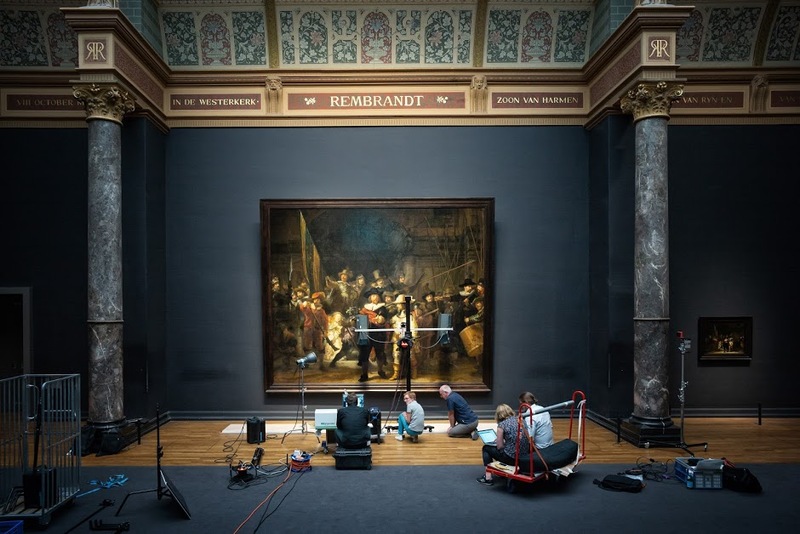 The Rijksmuseum in Amsterdam today announced that members of the public will be invited to watch the restoration of ’The Night Watch’, Rembrandt’s most celebrated masterpiece next year. The project will begin in July 2019 and the public will be able to watch the entire process at the museum and online. Commissioned in 1642 by the mayor and leader of the civic guard of Amsterdam, Frans Banninck Cocq, to create a group portrait of his shooting company, The Night Watch is recognised as one of the most important works of art in the world today and hangs in the specially designed “Gallery of Honour” at the Rijksmuseum. It is more than 40 years since The Night Watch underwent its last major restoration, following an attack on the painting in 1975. Taco Dibbits, General Director Rijksmuseum: The Night Watch is one of the most famous paintings in the world. It belongs to us all, and that is why we have decided to conduct the restoration within the museum itself – and everyone, wherever they are, will be able to follow the process online. The Rijksmuseum continually monitors the condition of The Night Watch, and it has been discovered that changes are occurring, such as the blanching on the dog figure at the lower right of the painting. To gain a better understanding of its condition as a whole, the decision has been taken to conduct a thorough examination. This detailed study is necessary to determine the best treatment plan, and will involve imaging techniques, high-resolution photography and highly advanced computer analysis. Using these and other methods, we will be able to form a very detailed picture of the painting – not only of the painted surface, but of each and every layer, from varnish to canvas. The group portrait of the officers and other members of the militia company of District II, under the command of Captain Frans Banninck Cocq and Lieutenant Willem van Ruytenburch, now known as The Night Watch, is Rembrandt’s most ambitious painting. This 1642 commission by members of Amsterdam’s civic guard is Rembrandt’s first and only painting of a militia group. It is celebrated particularly for its bold and energetic composition, with the musketeers being depicted ‘in motion’, rather than in static portrait poses. The Night Watch belongs to the city of Amsterdam, and it been the highlight of the Rijksmuseum collection since 1808. The architect of the Rijksmuseum building Pierre Cuypers (1827-1921) even created a dedicated gallery of honour for The Night Watch, and it is now admired there by more than 2.2 million people annually. The Year of Rembrandt, 2019, marks the 350th anniversary of the artist’s death with two major exhibitions honouring the great master painter. All the Rembrandts of the Rijksmuseum (15 February to 10 June 2019) will bring together the Rijksmuseum’s entire collection of Rembrandt’s paintings, drawings and prints, for the first time in history. The second exhibition, Rembrandt-Velázquez (11 October 2019 to 19 January 2020), will put the master in international context by placing 17th-century Spanish and Dutch masterpieces in dialogue with each another. With the support of the Ministry of Education, Culture and Science, the City of Amsterdam, Founder Philips and main sponsors ING, BankGiro Loterij and KPN every year more than 2 million people visit the Rijksmuseum and The Night Watch. The research and restoration conducted on The Night Watch is made possible in part by The Bennink Foundation, PACCAR Foundation, Thurkow Fund and private donors.